This is not the first time that TDP MP JC Diwakar Reddy has been accused of creating a ruckus at the Visakhapatnam airport after being denied a boarding pass for late arrival. Telugu Desam Party lawmaker JC Diwakar Reddy reportedly created a ruckus at the Visakhapatnam airport on Thursday morning after being denied a boarding pass for arriving late for his flight to Hyderabad. The lawmaker is also accused of damaging a printer used by officials at IndiGo airline's check-in counter to print boarding passes. After the ruckus, however, the 73-year-old lawmaker managed to board the flight. Later in the evening, an IndiGo official told Press Trust of India that the airline was banning the lawmaker from its flights. Civil Aviation Minister Ashok Gajapathy Raju, who was also present at the airport, backed his party's lawmaker. "He reached the airport on time. Perhaps the flight was overbooked," the minister said. The incident comes months after another parliamentarian, Shiv Sena Ravindra Gaikwad beat up a 63-year-old Air India manager that prompted several airlines to ban him from flying till he eventually apologised. The outrage over the assault had led the Civil Aviation Minister to announce rules to ban unruly passengers from flying. But Mr Reddy isn't the only lawmaker who nearly missed his flight. Yesterday, Raju Shetti, a parlimentarian from Maharashtra's Kolapur was left fuming when he missed his flight despite holding a boarding pass. He, however, hadn't showed up at the boarding gate. 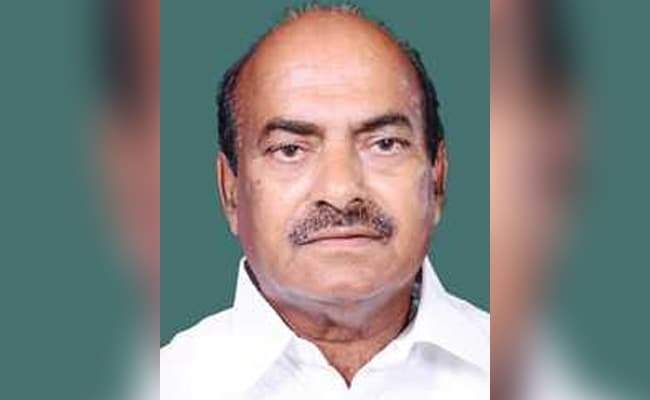 Diwakar Reddy is a Lok Saha MP from Andhra Pradesh's Anantapur constituency. As news of the ruckus got out, the airline said it was investigating the matter and had "no comments to offer till completion of a thorough investigation". No CCTV footage has been released for independent confirmation of the ruckus. The Visakhapatnam airport director, when contacted by NDTV, said the incident was a matter between IndiGo staffers and the lawmaker. He had not received a formal complaint and did not know of any damage to property. "These kind of incidents do keep happening everyday when passengers get upset for some reason," he said by way of explanation. This isn't the first time that Mr Reddy - whose son-in-law Deepak Reddy was arrested last week in a multi-crore land scam in Hyderabad - faces allegations of misbehaving with airline staffers. Last October, the Anantapur lawmaker was caught on camera creating a ruckus at the Vijayawada airport after he missed his flight, again because he had showed up well after the check-in counter had closed. According to reports, he was alleged to have barged into the Air India office and damaged furniture. Opposition party leaders are claiming that the Telugu Desam is saving its own party leaders while training the gun on opposition parties. They are pointing to an incident at Renigunta airport at Tirupati where YSR Congress MP Mithun Reddy was involved in an unruly incident. Cases were booked against him and he even went to jail.